In the last article of „Help for wild animals in South Africa“ I write about an institution that dedicates all their forces to help coastal birds. And that is SANCCOB (Southern African Foundation for the Conservation of Coastal Birds). SANCCOB is a sanctuary for sea birds in need. Among them are coastal birds like the Cape cormorant (Phalacrocorax capensis), the kelp gull (Larus dominicanus) or the Great white pelican (Pelecanus onocrotalus), but also African penguins (Spheniscus demersus). 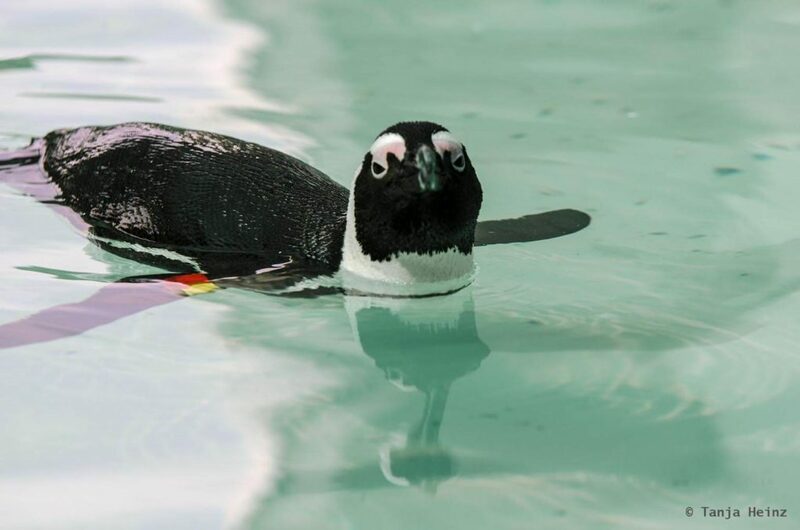 Although SANCCOB helps all coastal birds, they care principally for African penguins. SANCCOB is a NGO that (1) rescues, (2) rehabilitates and (3) releases ill, injured, abandoned and oiled seabirds. Since 1968 SANCCOB rescued about 95.000 coastal birds (January 2018). On average they help 24 different seabird species every year. Regarding penguin chicks this NGO has reared more than 2400 individuals. Thus, their work is very important and they have contributed substantially to the total population to date. The African penguin population increased since 1968 by 19%. 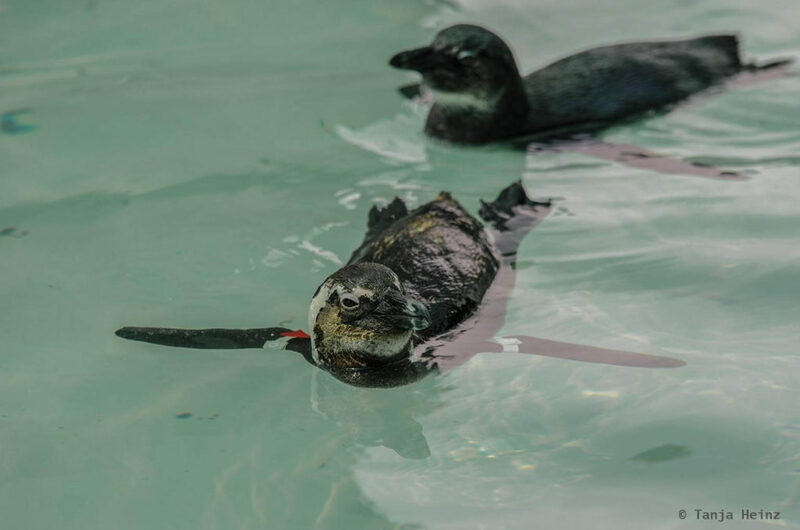 SANCCOB runs three rescue centers. There is one center in the Western Cape, that means in Cape Town, and two rescue centers in the Eastern Cape, that is, in Cape St. Francis and in Port Elizabeth. I visited the rescue center in Cape St Francis in company with the ORCA Foundation. It is possible at SANCCOB to visit the rescue center on a guided “behind the scene” tour. At the moment (January 2018) there are two half hour tours twice a day at the Cape St Francis rescue center. In the rescue center in Cape St Francis I met very animal-friendly, attentive and dedicated people caring for ill, injured and oiled birds. During the tour we got a glimpse into the work of an animal care attendant. However, this was only for a short moment. Then we headed to the penguins which cannot be released again into the wild. The guide told us a little bit about the personal history of each penguin and their work in general. We also spent some time in the souvenir shop. There we watched a short movie with many information about SANCCOB’s campaigns and what people can do if they find a penguin or a seabird in general. For residents it is especially interesting to participate, that means watch, how staff from SANCCOB releases penguins into the wild.It is also important to mention here that SANCCOB responds 24/7 to oil spill disasters. However, for a successful rehabilitation program it is also important to educate and inform residents and visitors about all the threats seabirds are exposed to and what everyone can do when encountering an injured penguin. I very liked my visit at SANCCOB. Furthermore, the rescue center in Cape St Francis is situated in a beautiful landscape along the South African coast. Thus, a visit at SANCCOB can be perfectly combined with an excursion to surrounding places.